Made a trip out between rain storms this sunday with paul and his friends on sunday. 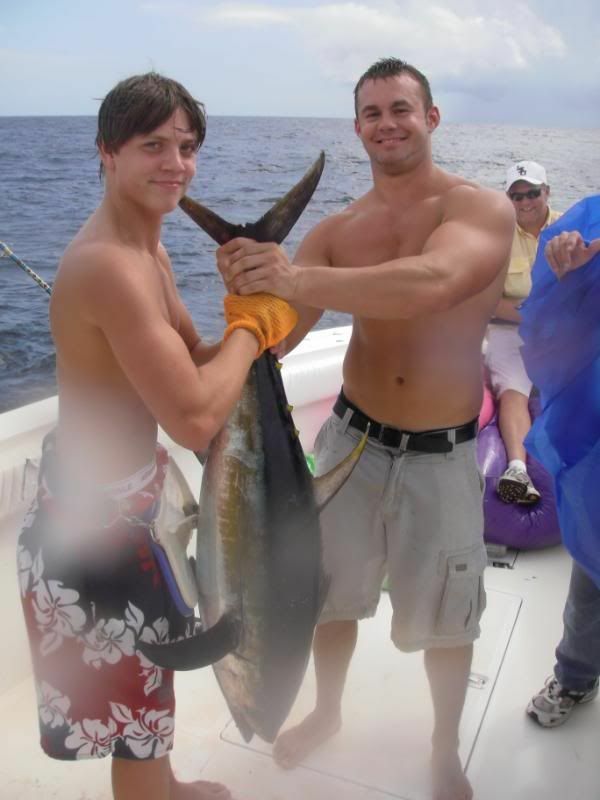 The whole premise of the trip was that the father of pauls gf said if he ever asked him for her hand in marriage he had to take the dad fishing. So here was the payback trip. We left out around 6 am to go make bait. Bait was plenty easy to come by and we headed to our first destination. Started catching nice blackfin on poppers and live bait right away. Then we had a good hit on a livie. Two of the guys tag teamed a 65 pounder into the boat. We kept picking away at smaller yfs and blackfins before we got another good hit on a livie and put a 60 pounder in the box. The popper bite was pretty good. The fish werent busting much but if you casted poppers they were tearing them up. All of the yf came on live bait though. 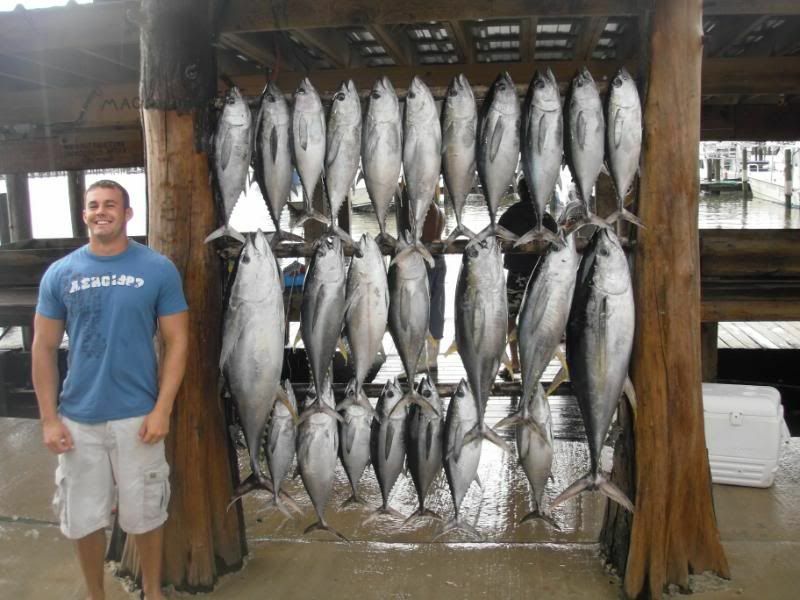 we ended up with 7 yf to 65 pounds and 18 blackfin in the box. I threw back a bunch of blackfins though so no telling how many we caught. I got all the fish on 6/0 hooks and 60 pound frenzy flourocarbon.